My Top Favorite Best Commuter Bicycles for Women! 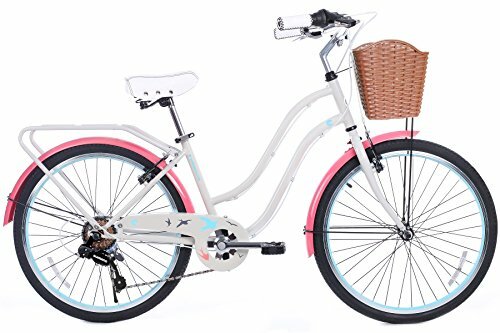 Cute and Girly Cruiser Bikes for Women! What are The Best Commuter Bicycles? The best commuter bicycles in my opinion need to be fast, obviously, but also lightweight, sturdy, extremely comfortable to ride and stylish! I assume you will be using your bike as your main means of transportation either to save gas, to exercise every day or because it’s fun! I have been doing that for the past 10 years and I never looked back! My main focus on this page will be showing you a few of my most favorite commuting bicycles for women! 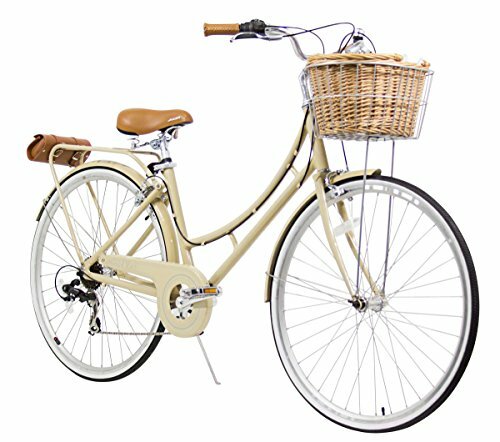 The one in this picture is a 7-speed step-through 700c city bicycle for women in a beautiful vanilla cream color! It also comes with a handy wicker basket! It has a Shimano 7-speed shifter and derailleur and it’s fun and comfortable to ride every day! 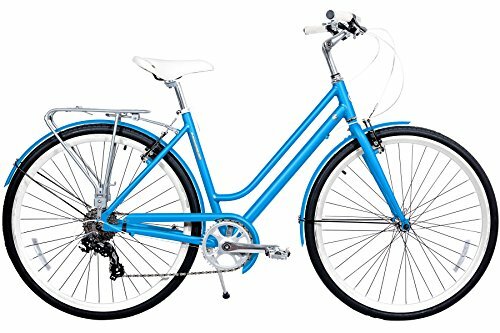 These are among my favorite urban cruiser commuting bikes for women! First of all let’s start with comfort! Just by looking at it you can ‘feel’ it’s very comfortable to ride, can’t you? The bike seat is amazing! Large and comfy to use! It’s a solid and sturdy bike, that will last for a long time. I also love that we can ride in a comfortable upright position and enjoying our surroundings…. It almost feels like you are ‘flying’ a few inches above the ground! Another favorite commuting bike of mine is this absolutely gorgeous hybrid cruiser bicycle! The grips are nice and comfortable to hold, we ride upright, it has 6 speeds and it has a lightweight steel frame, which is also sturdy! The colors are amazing too and they stand out! I love this cool and unique ‘blueberry’ color, but you can also get it in other fun colors if you want! 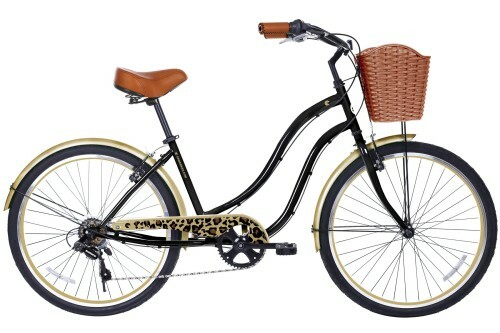 Cute Urban Cruiser Commuter Bicycle for Short Ladies! 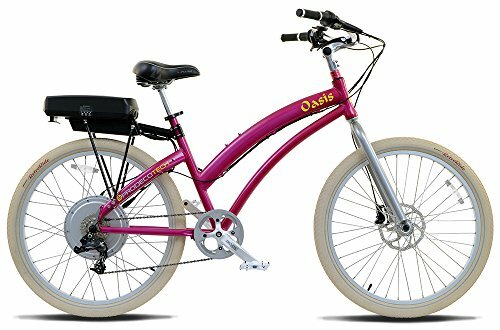 As a very short lady myself, I usually prefer riding 24 inch bicycles, and this is a very cute and girly urban cruiser commuter bike! It is also considered a ‘hybrid’ bicycle, as it also has the gears, but it is a cruiser! The cute basket is also perfect for carrying a purse or even small groceries! Another gorgeous and ultra-stylish commuter hybrid bicycle for sale! It is very smooth to ride both for commuting and pleasure! I love this ‘retro meets modern’ look! How about riding an Electric Bicycle? 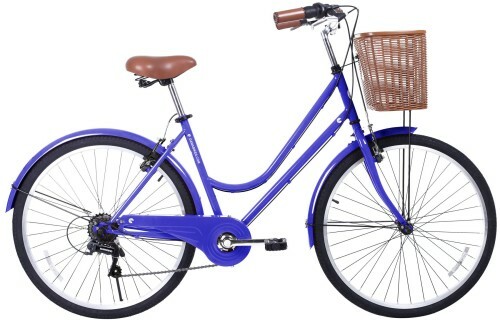 And last, but not least, in my selection of best commuter bicycles for sale, is this gorgeous electric bicycle! Electric bikes are perfect commuting bikes to go everywhere! Besides being loads of fun to ride, you can take breaks from all the pedaling! My Top Favorite Power Bicycles! -How far are you planning to commute every day? -Is riding for pleasure your priority? -Do you want to ride really fast and exercise? 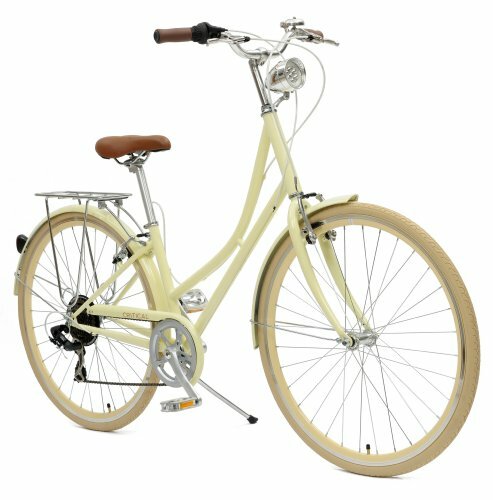 My Top Favorite Cruiser Bikes for Women! Have a wonderful day and enjoy the ride! Cutebikesonline is a participant in the Amazon Services LLC Associates Program, an affiliate advertising program designed to provide a means for sites to earn advertising fees by advertising and linking to amazon.com.